This Monday through Wednesday, six men from OBC will be attending The Gospel Coalition National Conference in Indianapolis. We ask you to pray that the Lord would edify them through this time of learning and fellowship, and we also invite you to watch the TGC Live Stream over the next few days. 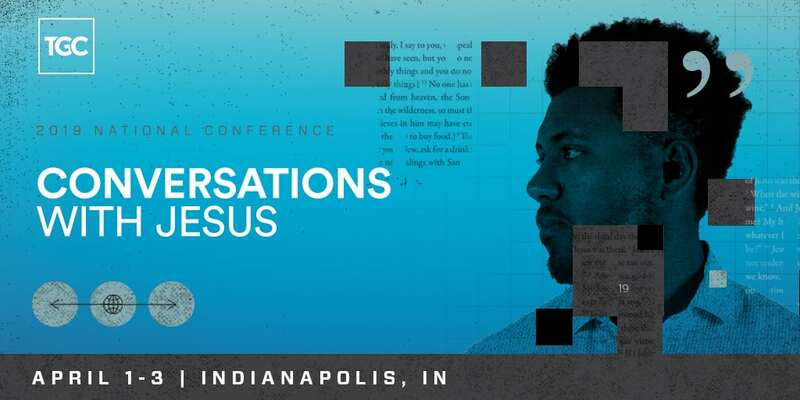 This year’s conference theme is “Conversations with Jesus,” with a focus on considering Jesus’ conversations as a model for us as we seek to be faithful in our proclamation of the gospel. Speakers include D.A. Carson, H.B. Charles Jr., Kevin DeYoung, Jackie Hill Perry, Tim Keller, Trip Lee, John Piper, David Platt, Jen Wilkin, and many more. If you can’t make it in person, you can still watch the conference online, thanks to our live stream sponsors at Southeastern Baptist Theological Seminary. The free TGC19 live stream will feature pre-conference sessions, main stage conference sessions, select breakout sessions, and live-stream-exclusive interviews with speakers, authors, and others. We look forward to you joining us for TGC19, from wherever you are in the world.